Social media is a useful marketing tool generally with its ability to put a company closer to their target audience. And the best part about it is you don’t actually have to be in the same place with them. You just have to use one social media platform. you can communicate with your customers over the globe immediately or guide a conversation to gauge opinion amongst them. What’s really great about social media is that you can do all this whilst cowering behind a desk. Facebook has done its best to keep a strangle hold on the landscape of social media with its acquisition of Instagram. Using Instagram we can communicate through the use of images and, like all social media, it can be used to help build a brand and business awareness. But what should you do specifically to help your business with Instagram? 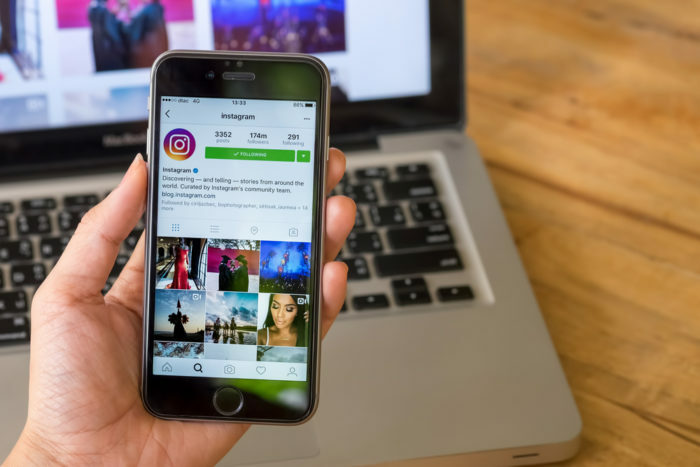 While you might have used Facebook, Twitter or LinkedIn for your business , the benefits of Instagram for business might not have crossed your mind. In April 2017, more than 700 million people were actively using Instagram each month, double the monthly active users of Twitter. 80% of these users follow at least one business on the platform with 60% hearing about a product or service through Instagram. how could your business benefit from an Instagram presence? 1. Increase your brand identity – in a crowded marketplace, Instagram allows your creativity to shine. Your brand identity is what distinguishes you from your competitors and on Instagram, you can really develop this identity visually, reminding clients or customers of what you do best. You can get creative with a photography theme, series of videos or the use of a certain colour or filter helping you to stand out from your competitors. 3. Connect with influencers – take the time to connect and interact with influencers (people who could enhance and project your brand to a wider audience). By connecting with people who could be interested in sharing your brand with their own followers, you will increase your brand presence. 4. Engage with potential customers – Instagram hashtags are one of the best ways to grow your following. Using the right combination of hashtags can help you expose your brand to bigger and targeted audiences. Posts with at least one Instagram hashtag average 12.6% more engagement than those without. As well as using hashtags relevant to your industry or product, popular hashtags such as #tbt (throwback Thursday) will help with engagement. 5. Humanise your brand – Instagram Stories – where users can record videos which will only display for 24 hours – allow you to inject a bit of personality to your social media. Whether it is sharing company milestones or behind the scenes clips, you can edit the short videos with emojis, text and illustrations, showing a different side to your usual corporate postings. Instagram Stories appear at the top of followers’ feeds, which is increasingly important with the new algorithmic model potentially reducing how often you appear in your followers’ feeds.